Dr. Armbrister is a Licensed Acupuncturist and Holistic Pain Management and Wellness Therapist, whose healthcare practice includes acupuncture therapy and related stimulations, Tui Na, Natural Medicine, and Herbals, breathing exercises and dietary and lifestyle advice. She also provides additional pain management therapies, including infrared and ultraviolet therapies, and needleless laser acupuncture. 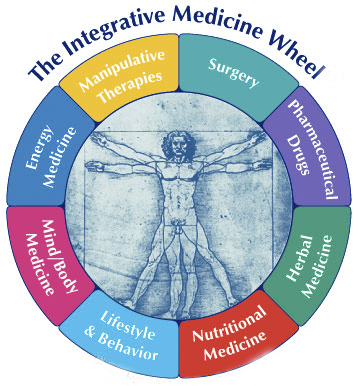 Integrative medicine is healing-oriented medicine focused on treating a patient as a whole being (body, mind, and spirit), including all aspects of lifestyle. It combines conventional medicine with holistic, naturopathic approaches to wellness and disease treatment. Integrative medicine emphasizes the therapeutic relationship and makes use of all appropriate therapies, both conventional and alternative. 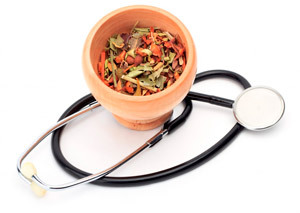 Dr. Armbrister’s naturopathic approach to medicine employs a wide array of natural modalities, including homeopathy, herbalism, and acupuncture, as well as diet and lifestyle counseling. Naturopaths favor a holistic approach with non-invasive treatment and generally avoid the use of surgery and drugs. Dr. Armbrister’s philosophy is to stimulate the healing power of the body and treat the underlying cause of disease. She balances traditional medicine with natural practices. 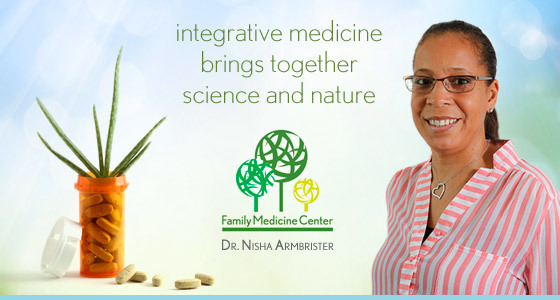 Family Medicine Center’s Dr. Nisha Armbrister, brings these ancient practices to the Bahamas.